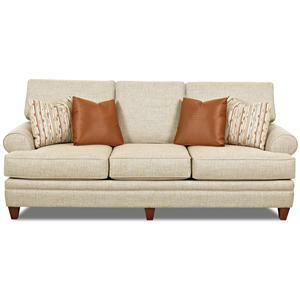 This stylish loveseat will add just the right touch to your living room. 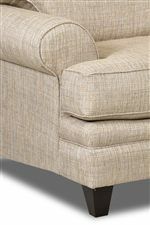 Two comfortable t-cushion seats are trimmed with welt cord for a crisp look, framed by low profile rolled arms. Sleek tapered wood feet and accent pillows complete this elegant transitional style. 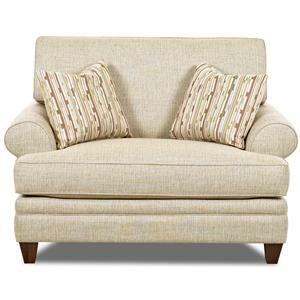 The Fresno Transitional Loveseat with Low Profile Rolled Arms by Elliston Place at Morris Home in the Dayton, Cincinnati, Columbus, Ohio, Northern Kentucky area. Product availability may vary. Contact us for the most current availability on this product.